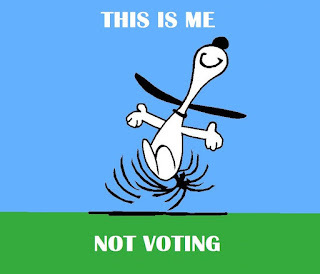 Don't vote! It only encourages them! American democracy: choosing your rulers based on name recognition and sound bites from the vapid and corrupt news media. Or, better yet, on red-vs-blue tribalism. Wonks call this a "perverse incentive." Read the whole thing. It's infuriating.